Holding your place has never been so fun! Sometimes it’s nice to add a little pizzazz to reading group time. Why not take a break from reading and make time for a creative, yet practical, project? 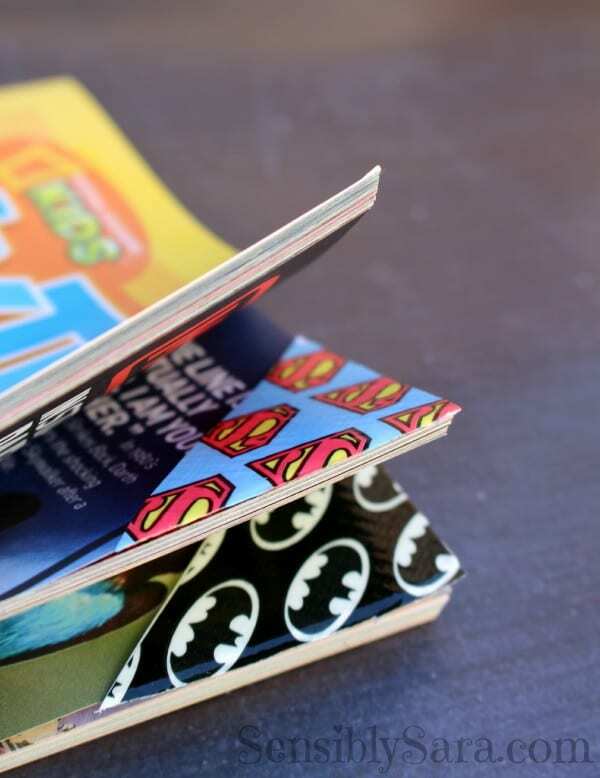 These cute DIY bookmarks are fun and easy and may just get your students excited about making their way through their next chapter book. Need a quick, easy alternative? Download our WeAreTeachers free printable bookmarks that celebrate all things reading! 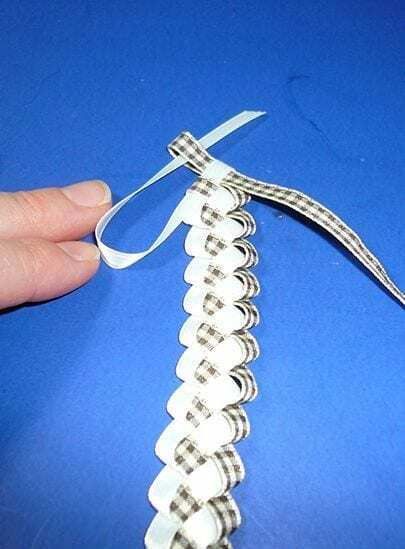 Easier than it looks, all this craft requires is elastic hair ties, ribbons, and buttons. The tutorial calls for a sewing machine to secure the ends, but you could use a stapler or glue gun. 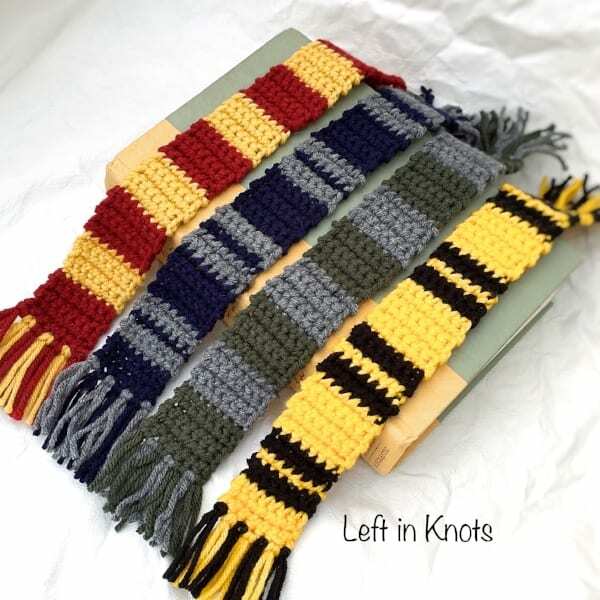 If you know how to do a single crochet stitch, you can use this pattern to create a scarf with your favorite house’s colors. 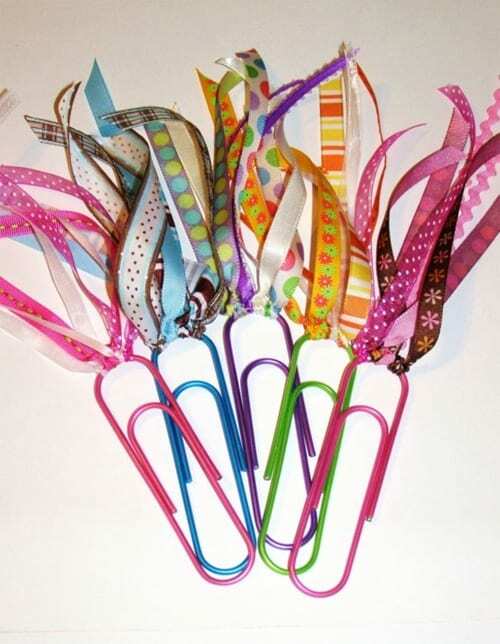 Take a paper clip and a few snips of colorful ribbons, and—voila!—you have a colorful new place holder. We all know how much our students love getting their pictures taken! Capture a few shots of your students holding an imaginary balloon, print out and laminate the pictures, and then attach them to colorful tassels. We’re not sure why mustaches are so darn funny, but we’re pretty sure your kids will smile when they see this place marker. Use the template in the link below, cut out the mustache from black construction paper, and then attach a crosspiece to hold it from behind. 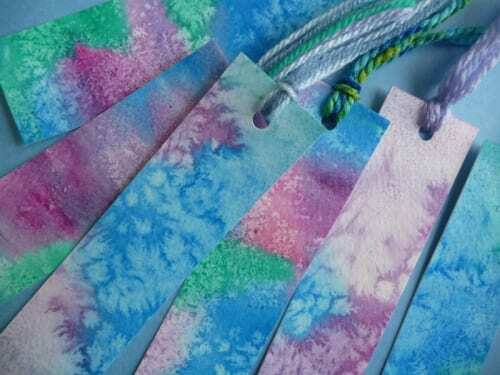 Grab a collection of free paint samples from your local hardware store, add some colorful ribbon strands, and let your students loose with a Sharpie to create their own masterpiece. 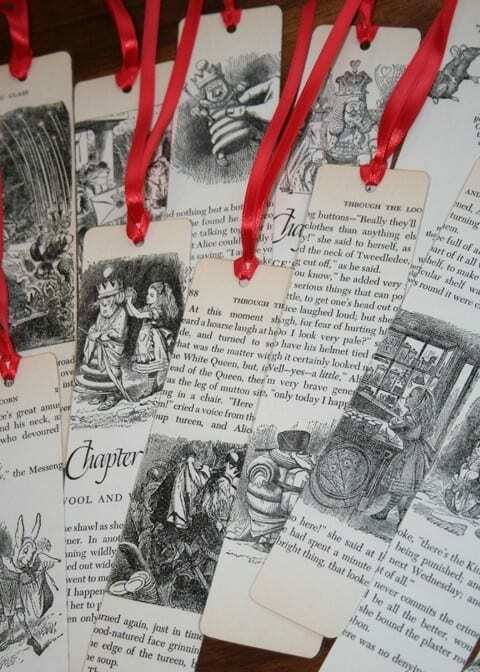 We love these vintage-look bookmarks! 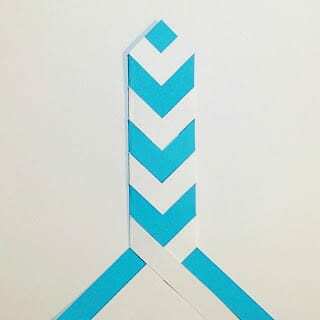 To make them more durable, laminate the strips before adding the ribbon. 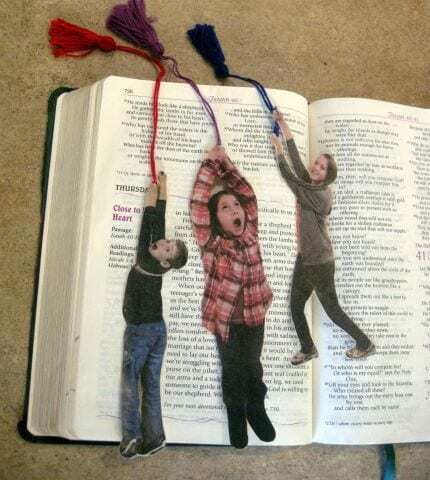 Read the whole article for 10 more fun ideas for crafts with old books! 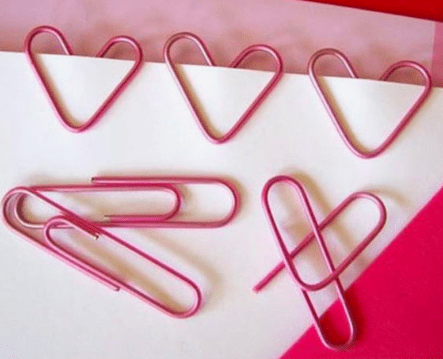 Quick and easy, all you need is pink paper clips and strong fingers. Remember when duct tape only came in black? These days there is something for everyone with all of the colorful prints available. Read the blog for step-by-step folding directions. All you need to create these beauties is rubbing alcohol and Sharpie markers. This video gives you step-by-step directions. Trace the outline of a large craft stick onto a cute fabric scrap. Cut the fabric, slap some Mod Podge on the stick, and put it all together. If you want to make the deluxe model, drill a hole into the top of the stick and add a tassel. 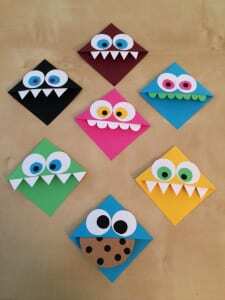 This craft is simple, and it’s also great practice for measuring and fine motor skills, too! 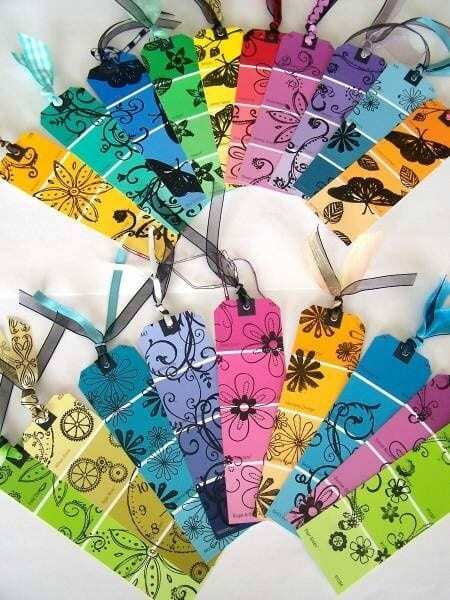 Another clever way to repurpose paint sample cards. These pink models are adorable with heart cutouts. Pick different colors to go with differently shaped punches (green/shamrocks, blue/dolphins, gold/stars). 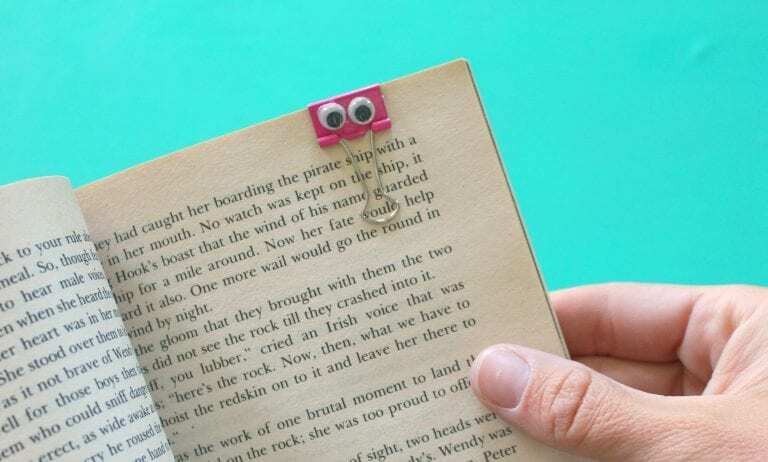 This type of bookmark is so great for kids. The string folds neatly into the crease of the book and is less likely to fall out than regular bookmarks. 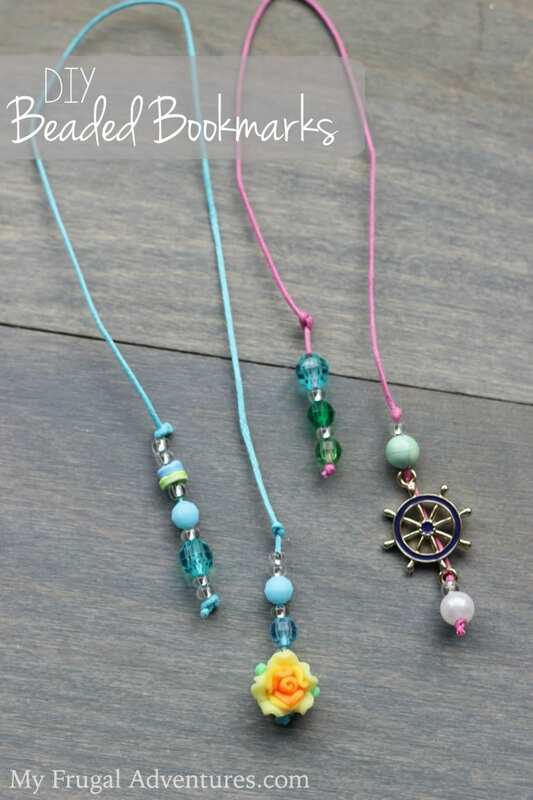 All kids need to do is add a few baubles and beads to personalize them. “Salt crystals have a way of transforming watercolor paintings into the coolest, texture-filled creations,” says the author of this step-by-step tutorial. Learning to braid is must-have, basic skill for children! 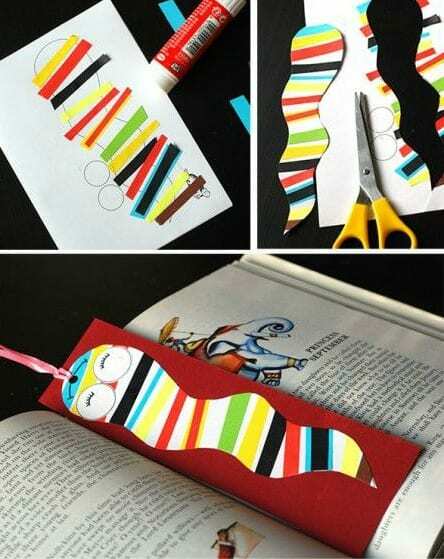 Making this bookmark helps build muscles in tiny hands and creates colorful, one-of-a-kind bookmarks, too. 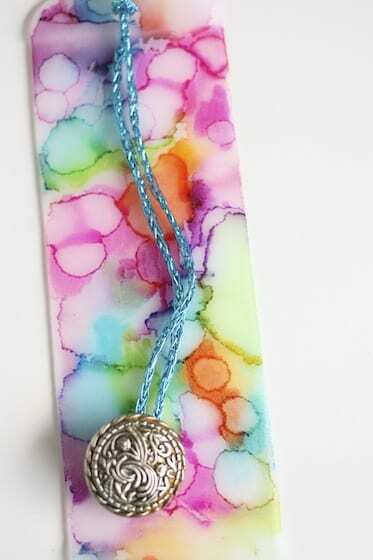 This braided bookmark is a little more advanced than the basic version above. Click here for photos and step-by-step directions. Perfect for Shark Week! 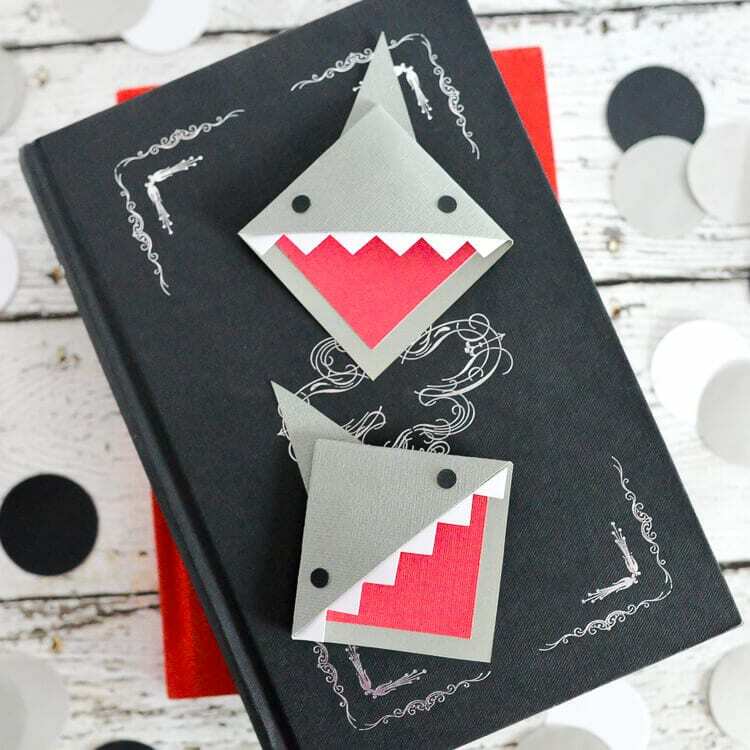 Your students will adore this toothy bookmark that slips easily onto the corner of a page. Yarn, scissors, and lots of patience. 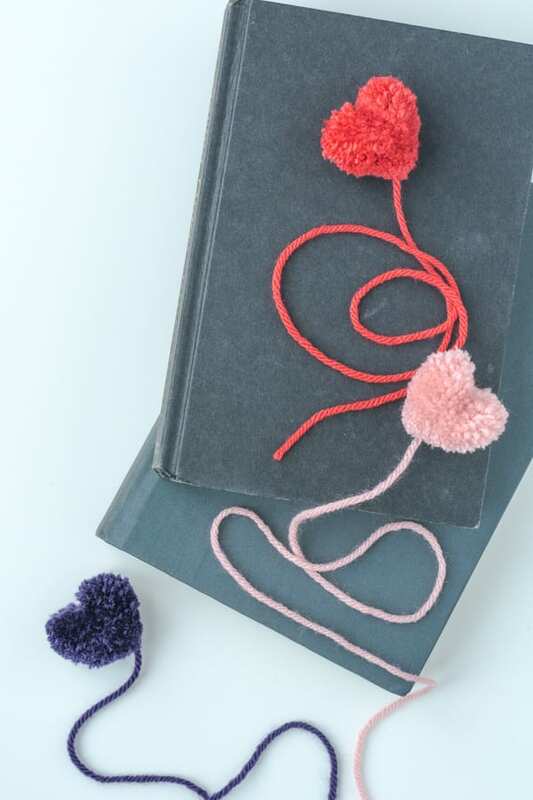 These sweet fuzzy bookmarks are fun to make and make a great gift around the holidays. For directions to make the original round version click here. You know that paper scrap bin all classrooms have? Here’s a perfect project to use those leftovers! 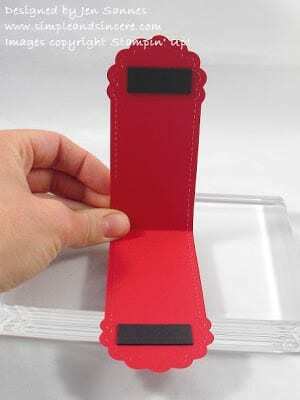 Print the template included in the link, cut it out, then glue your choice of colorful strips to make your very own rainbow bookworm bookmark. 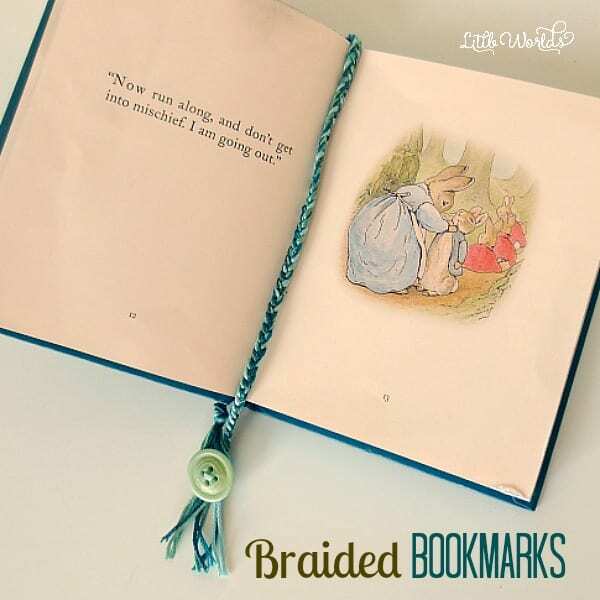 These cute bookmarks will have your students champing at the bit to dive into their favorite book! Remember troll dolls? 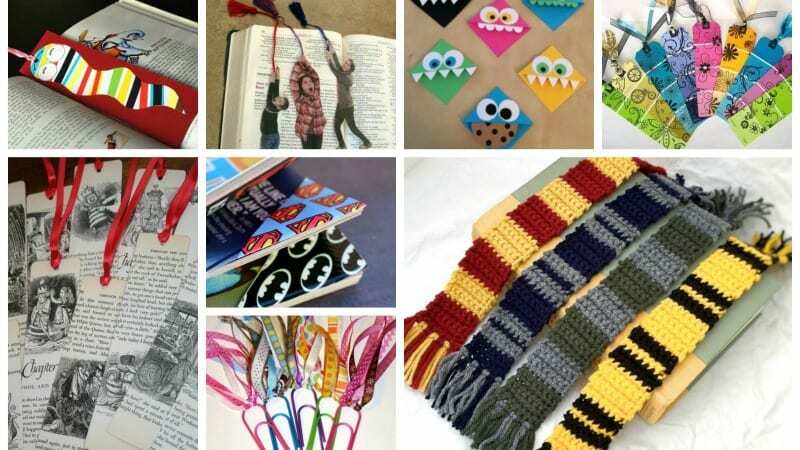 These bookmarks remind us of a fun homemade version. Attach colorful string to a paper clip and add googly eyes and small red pom-poms to make your own funny friend. Cut a piece of card stock into a long rectangle. Add detailed cuts around each end if desired. Fold in half and glue a strip magnet onto each end. Save your place by straddling the last page you read with the bookmark. 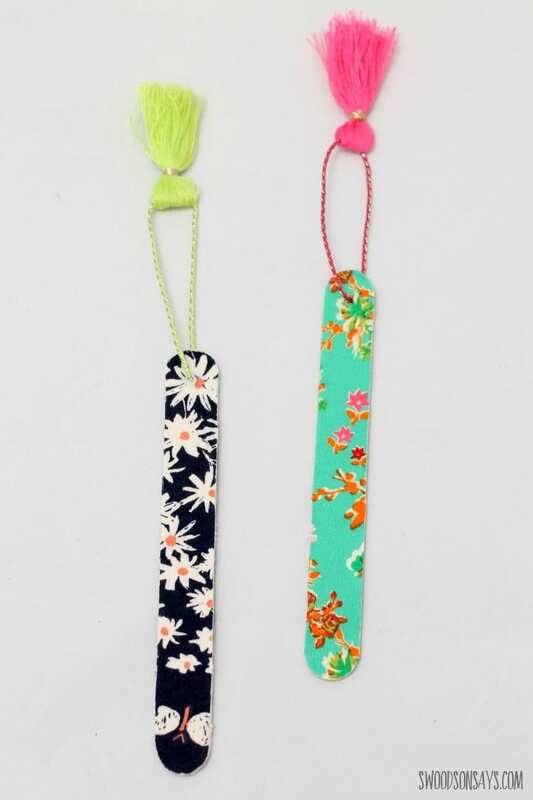 Do you have any fun DIY bookmark ideas to add to our list? Share them in our WeAreTeachers HELPLINE group on Facebook. And don’t forget to download our awesome free printable bookmarks!